Enjoying the ideal location in the heart of Parramatta with its cosmopolitan restaurants, theatres and shopping, PARKROYAL Parramattais the premier hotel in western Sydney. 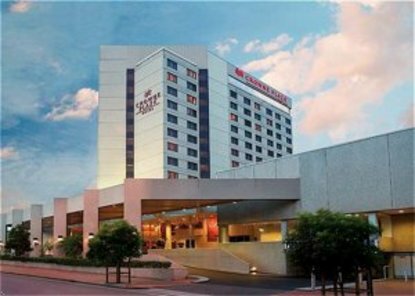 PARKROYAL Parramatta offers 196 guest rooms and suites, each with ensuite facilities, cable television with in-house movies, minibar, tea/coffee making facilities, hairdryer, iron and ironing board, and luxurious bathrobes. For the business traveler, guest rooms feature a separate work desk with dual telephone lines, laptop connectivity, desk-height power points and Internet enabled television. Experience the sensational quality and service of Redsalt and the Heritage Bar. Guest leisure facilities include a swimming pool and gym membership.